The Testo AC and Refrigeration Smart Probes are not just another fancy tool, no they are not. They are HVAC/R pressure and temperature measuring instruments that meet up with accuracy and precision built into a compact and rugged design. They offer a completely wireless set up and pair with the free Testo Smart Probes app via Bluetooth with a range of up to 50 feet. The kit includes two high pressure sensors (549i), two temperature clamps (115i), batteries (AAA) and certificate of calibration all stored in a compact case. One luxury in using the 549i pressure probes is low loss of refrigerant when removing the probes from a system, no hoses equals reduced loss of charge. The Smart Probes app contains 80 stored refrigerants, allows the user to view readings in real time and the app automatically calculates superheat and subcooling. The app also offers the ability to save measured data to a PDF or Excel file which can be emailed off to the customer or the office for future reference. 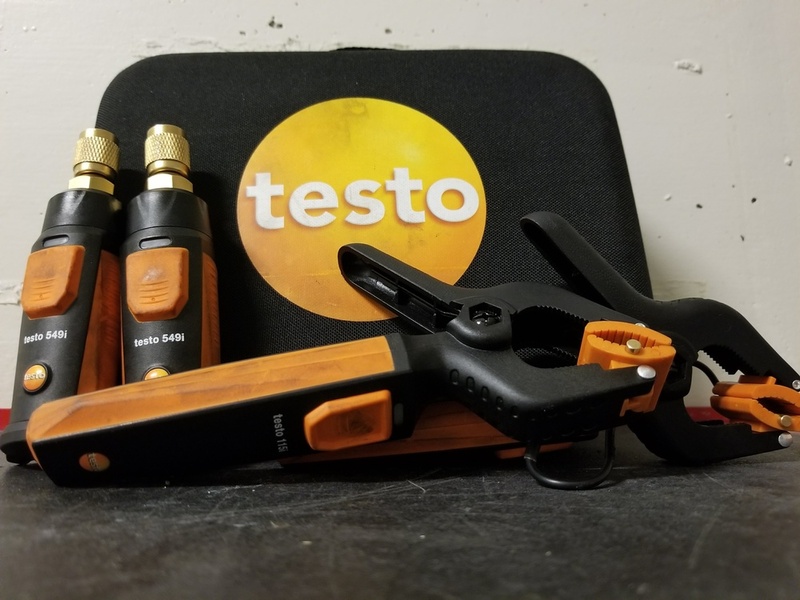 Receive preferred Testo pricing at TruTech Tools by having a free TruTech Tools account and following the link below and anwsering two questions.